Join Local First Arizona and KRIM 96.3FM for an evening networking opportunity with fellow independent businesses and local leaders. Thursday, September 20th from 5:30 - 7:30 p.m.
KRIM 96.3FM is a Low Power (LP) community focused radio station that transmits 24 hours a day, 7 days a week and uses no satellite feeds. The station is fully funded by the community it serves through the non-profit corporation, Payson Council for the Musical Arts, Inc. All contributions, underwriting, sponsorships, or other financial support to KRIM is fully tax deductible. We also feature local musicians and actively promote all live music performances in and around Payson. 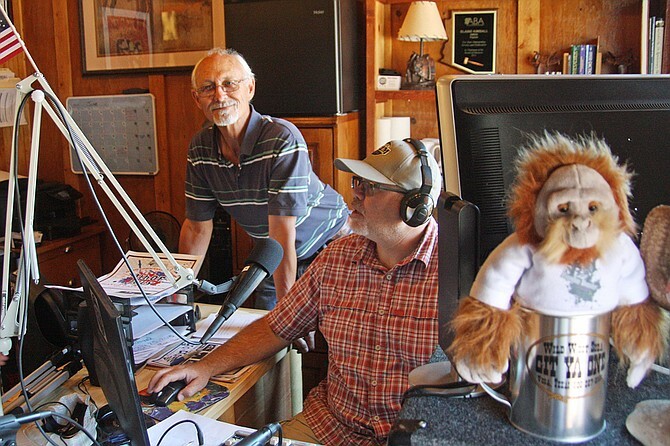 If you love local radio in Payson, join in and help keep it going.